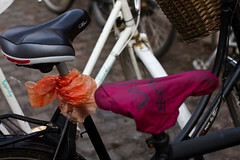 After all the recent bits about bicycle seat covers used as advertising platforms in this post and in this post, it's time to highlight the DIY version in Copenhagen. 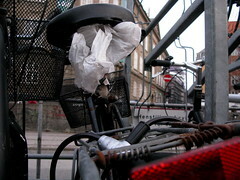 The good old plastic bag. No-nonsense, practical and functional. 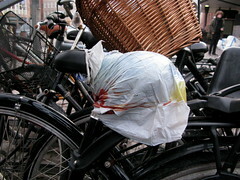 Fair enough, plastic bags are not kosher in this New Sustainability Age but they are still around. 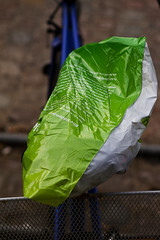 For many, many years plastic bags in Copenhagen supermarkets have been available for a fee. A bag with handles costs 50 cents. 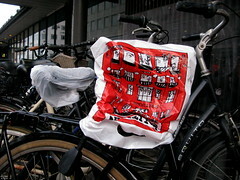 Many people use canvas shopping bags or bicycle baskets. 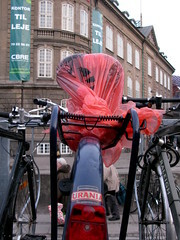 But plastic bags still serve a function in a wet Copenhagen. There are many variations. 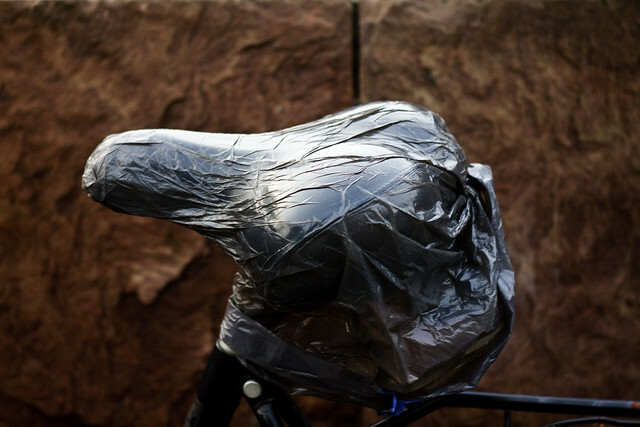 Some may park and then put a bag on their saddle in case it rains. Then again, the opposite is just as frequently applied. 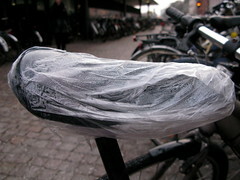 Ride around with a plastic bag and if it rains when you park, you take off the plastic bag and sit on the dry seat. 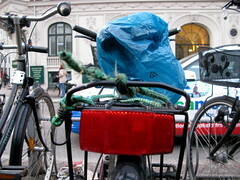 Then again, when the bicycle is mainstream, there is little concrete, systematic use. 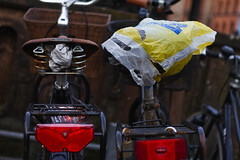 Some of these bags have been on the saddles for ages. 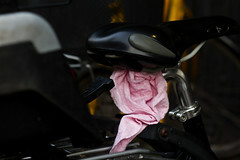 Other ones are stuck under the saddle and may never be used. 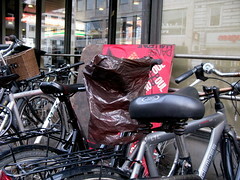 A little detail in the ocean of mainstream bicycle culture. 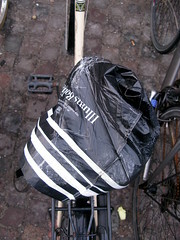 Then there are some who don't bother with plastic bags. 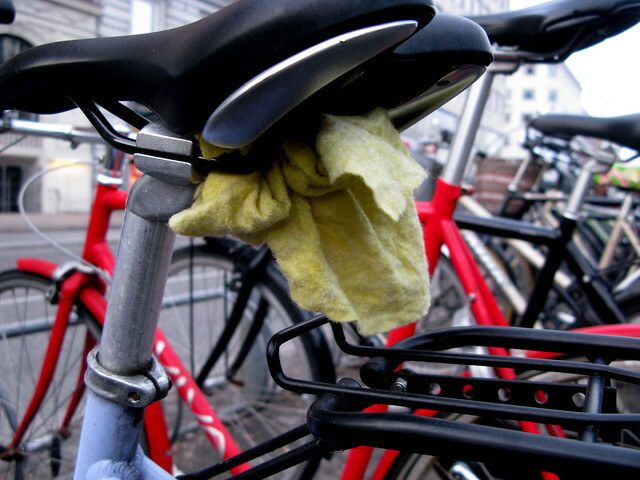 Instead just sticking a dishcloth - the standard version found in most Danish kitchens - under the seat for a quick wipe of the saddle or kids seat.